Deep in the karri forest on the Bibbulmun Track. 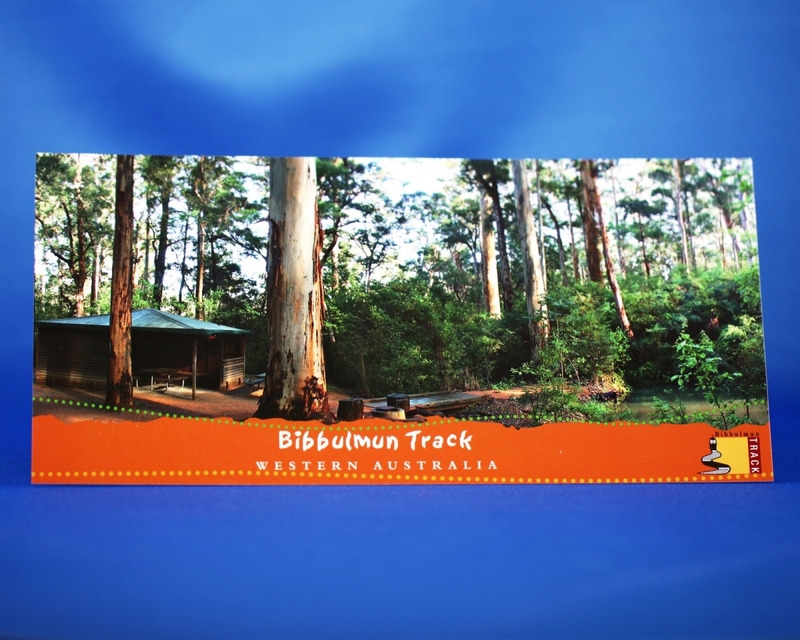 These DL size (10cm x 21cm) panoramic postcards feature different aspects of the Track. This one is of Beavis Campsite located deep in the karri forest north of Pemberton.